Join us at 9am(Start Time) on Saturday July 29th at the world famous and beautiful Haulover Beach in Miami, FL as we have a unique “Train Like an Animal” Beach Bootcamp and Networking event. Prepare to have an awesome workout with Diontae “The Animal” Smith as well as some of Miami’s best trainers for an hour. After the workout we invite you to enjoy, network and relax with local real estate and business professionals. Bring a friend, bring your workout gear, swim suit and a cooler and plan to have a great time. This is a special fitness and networking event on the beach, a lil business and a lot of fun. 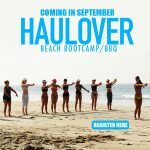 A special fitness and networking event on Haulover Beach, a lil business and a lot of fun. – Turn right onto US-1. – In 0.6 miles turn left onto SR 856 (William Lehman Causeway) Be careful not to turn left into Aventura Mall before you get to SR 856. – Drive east for 1.6 miles and exit south onto A1A. – In 1.6 miles go to SR 826 and continue south underneath the overpass. – Drive 0.8 miles look carefully on the right for signs for the North Beach Parking Lot. Take I-95 or US-1 north to NW 125 Street (Route 922) and go east across Broad Causeway (50 cent toll) to Collins Ave (AIA). Then turn left (north) onto Collins Ave. In about a mile you will go over the bridge over Baker’s Haulover Cut. Proceed about 1.4 miles over the bridge, past the marina, golf course and boat dock, to the North Beach Parking lot on the left at the far north end of the park.